What Is Stroke Play in Golf? "Stroke play" is the most common form of golf played by golfers and well-known even by non-golfers. 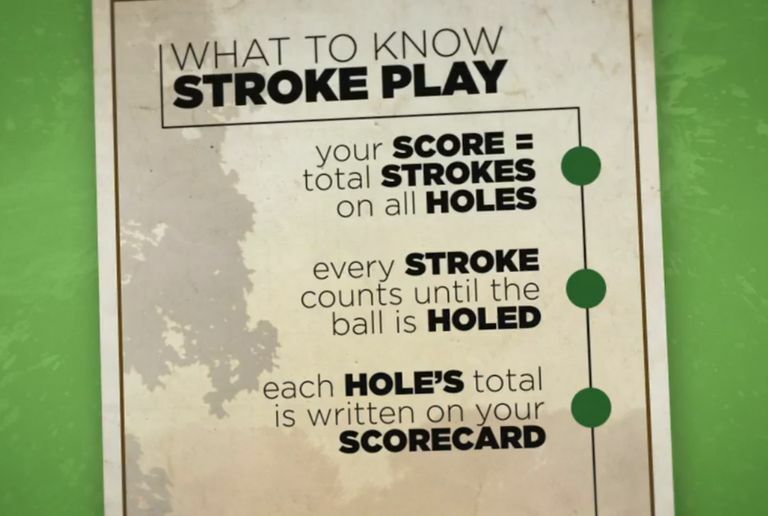 In stroke play, a golfer counts the strokes used to complete the play of each hole, then adds up the total number of those strokes at the end of the round for his score. Compare your score to the score of all other golfers you're competing against to determine your standing. Simple! Stroke play is also called medal play. 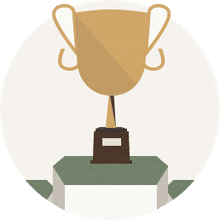 "A stroke-play competition consists of competitors completing each hole of a stipulated round or rounds and, for each round, returning a score card on which there is a gross score for each hole. Each competitor is playing against every other competitor in the competition. "The competitor who plays the stipulated round or rounds in the fewest strokes is the winner. "In a handicap competition, the competitor with the lowest net score for the stipulated round or rounds is the winner." Most professional golf tournaments, and most recreational rounds of golf, are stroke play format. Stroke play is the most common form of golf. The other format that is best known is match play. In match play, a golfer still counts her strokes needed to complete the play of each hole. But in match play, the total number of strokes used for the entire round is irrelevant. Instead, match play requires comparing your score on an individual hole to that of your one opponent; fewest strokes wins the hole, and the winner of the match is the one who wins the most holes. In stroke play, as noted, you count each stroke and add them all up at the end of the round. Then compare that total to the totals recorded by your fellow-competitors - whether you're playing against one friend or in a tournament against 150 other golfers. In stroke play, the golfer counts each stroke taken on a hole, until the ball is in the cup. Those strokes are written down on the scorecard. At the end of the round, the strokes used on each hole played are added together for the total strokes, which is the gross score. If the golfer has a handicap index, he converts that into a course handicap, which provides him with "handicap strokes" to use during the round. If a golfer has a course handicap of, for example, 12, he gets to reduce his gross score by 12 strokes at the end of the round. So a gross score of 88, for example, minus those 12 handicap strokes, produces a net score of 76. Beginners FAQ: How does golf scoring work? The basics of stroke play are very simple no matter you look at it: count all your strokes, add them up, compare your total to the totals recorded by all the other golfers you're competing against.